Each year, thousands of people all over Australia volunteer their time to protect and conserve the natural environment. Many have got together to form “Care” groups, such as Bushcare, Landcare, Dunecare, Rivercare, etc. The environments these groups work in are very varied, eg. forest, creeks, wetlands, coastal headlands and beach dunes. Likewise the activities performed are diverse, eg. weeding, planting, controlling erosion, fencing and track work. The ‘Bushcare & Landcare‘ page lists links to the groups within these programmes, many run by local Councils. The ‘Other Opportunities‘ page shows a variety of groups that work around the country. Get permission from the landholder or land manager to do what you want to do. Is there an existing plan to follow, eg. a Council Open Space Plan of Management? What are your aims? – Write them down and refer back to them – if necessary, change them over time. Plan ahead. Are the resources available (even if that’s just your time), now and in the future, to achieve the aims? 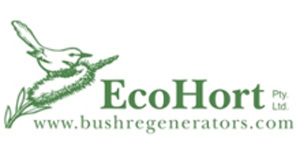 Is qualified and experienced bush regeneration advice available? Despite the best intentions, many natives get pulled out or damaged and many weed infestations get worse if the understanding of a site is lacking. Talk to experts before you start. Consider the native animals. Many animals use and even prefer certain weeds for food and shelter. New native habitat should be established before pulling out all the weeds. Ensure there is adequate consideration of occupational health & safety and make sure your activities are covered by insurance.